It was a rare time that we picked someone up from the airport during the day. Our sis and family flew back from UK via Dubai and they arrived during the afternoon. Something was different! 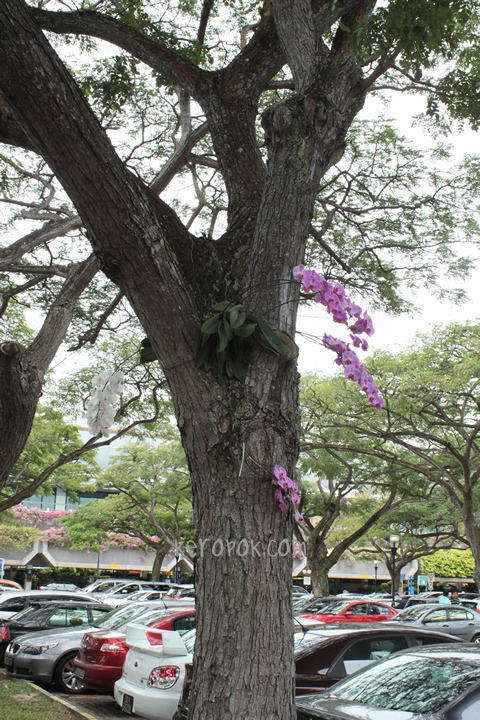 There are orchids on quite a few trees in the carpark! The usual ferns that seems to be the norm in most trees in Singapore have been replaced with beautiful orchids in the airport. The little things like this makes Changi Airport great don't you think? Anyone knows how long have the orchids been in the car park? It's the 14th day of the Chinese New Year and we were having dinner at our Uncle's place. oh... this is only part of the snacks that's on the coffee table in the living room. There's still others that's unopened. 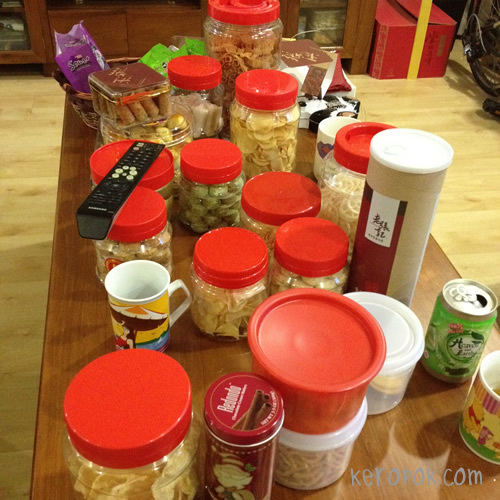 How long does it take you all to finish all the Chinese New Year goodies? I have been trying to finish our stash at home too, first to go were the Kuih Lapis, and then the Pineapple Tarts. The rest are clearing very very slowly!